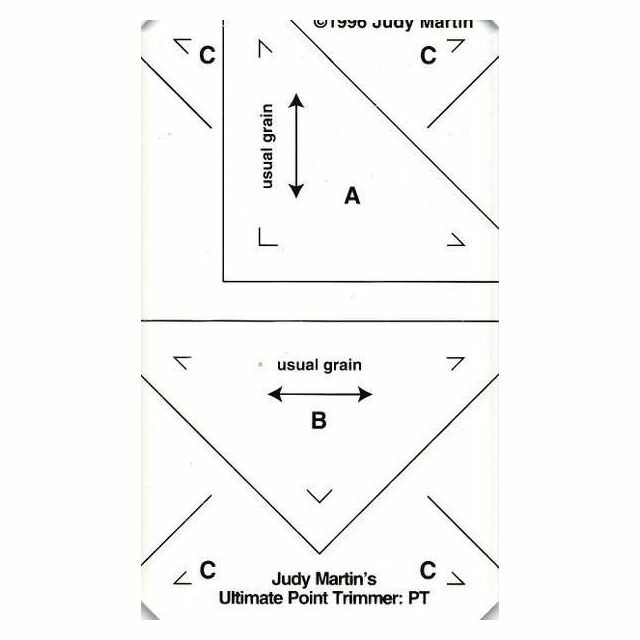 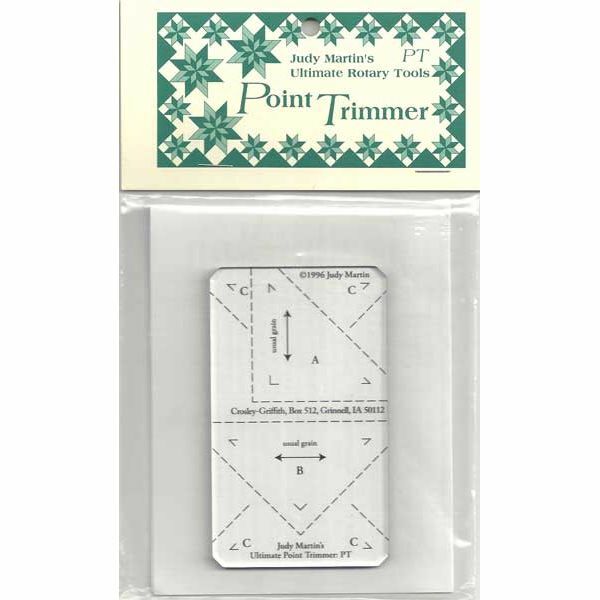 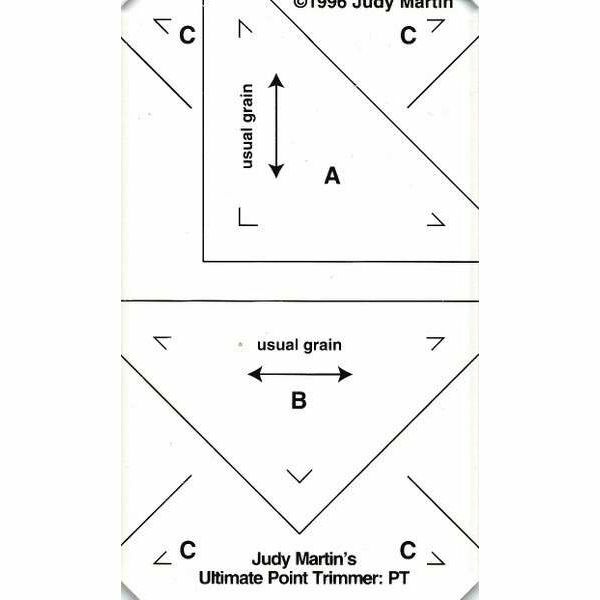 Perfect your piecing, simplify your quilting, and save time with the Ultimate Point Trimmer. 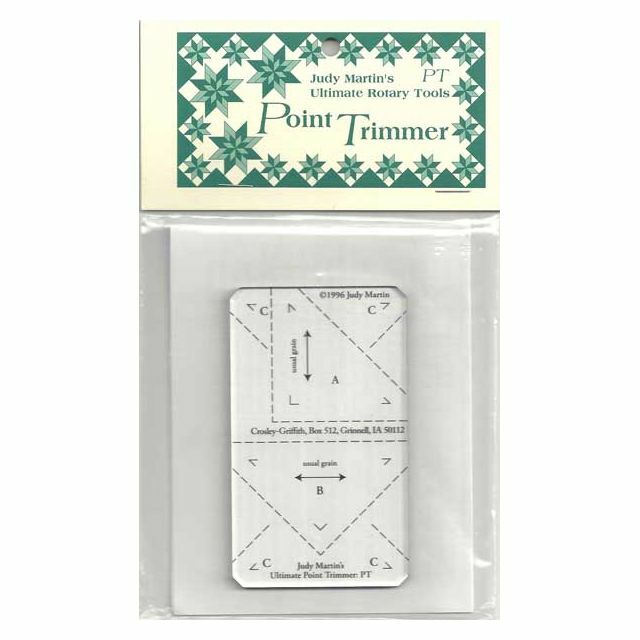 This indispensable , inexpensive tool helps you trim seam allowances at points. 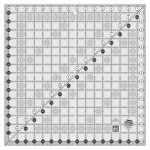 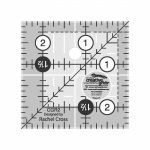 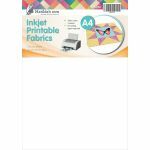 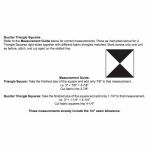 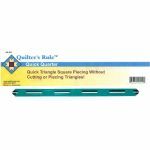 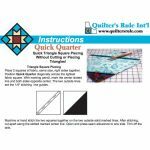 Cut quickly through four layers as you use the OT for any patch size or shape having a 45 degree angle. 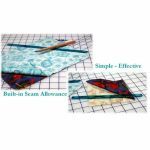 Reduce bulk in seams, minimize show-through and align patches perfectly for machine piecing with the PT. 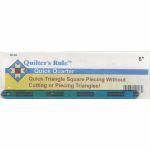 For better quilts faster, get the Point Trimmer advantage.